Custom-made, affordable quality dentures can restore your bright and healthy smile when tooth loss has taken its toll. They are made from acrylic or plastic and serve as natural-looking replacements for teeth and surrounding gum tissues. Dentures made to replace all of your missing teeth are called complete permanent dentures. Partial dentures only fill in gaps created by a few missing teeth, and help to prevent the shifting associated with tooth loss. Conventional dentures are worn several weeks after necessary extractions are performed, and the mouth has healed. Immediate dentures are placed on the same day teeth are removed. Dentures aren’t just for your grandparents. People of all ages can suffer partial or extensive tooth loss. Replacing missing teeth is important for maintaining bone structure and preserving remaining teeth as well as speaking and chewing properly. The emotional and social impact of tooth loss can be devastating, but your dentist can help you deal with anxiety, and fashion the best dentures to restore your smile. What Is the Process of Getting a Denture Like? It typically takes about a month or five appointments to complete the process. After an initial evaluation, a wax bite and impression are created to match the dimensions in your mouth. The final denture is placed after it is tested and adjusted for shape, fit, and color. It may take several weeks to get accustomed to wearing dentures. Your dentist can give you tips to help ease the transition. 1. Remove and brush your dentures daily. 2. When you’re not wearing them, soak your dentures in denture cleanser or water. 3. Remove your dentures at night. 4. 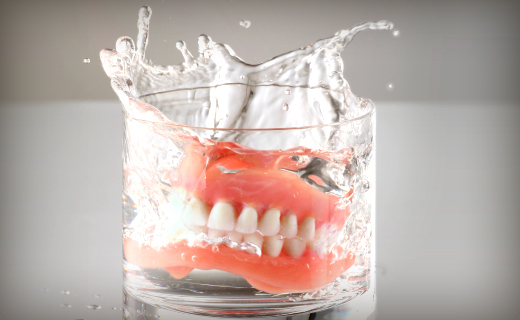 Never use hot or boiling water to sterilize your dentures. 5. Use denture adhesives as directed to improve stability. Affordable quality dentures are an option for virtually anyone, but if you prefer an alternative, ask your dentist about implants; these are titanium devices that hold a single artificial tooth in place, or serve as anchors for permanent implant dentures or bridges. Exceptional staff. Very clean environment. They explain everything and what options there are available. Thanks for your great work!